The NSW Jewish Board of Deputies calls on the leadership of the NSW Labor Party to formally censure Shaoquett Moselmane MLC for his ongoing antisemitic abuse. 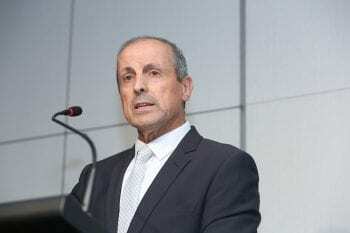 The Board’s CEO Vic Alhadeff stated: “Just yesterday, Prime Minister Scott Morrison called out the incident when Mr Moselmane recently denied me access to the launch of the Labor Union Multicultural Action Committee, despite having received an invitation from general secretary Kaila Murnain. The incident prompted Opposition Leader Luke Foley to apologise for Mr Moselmane’s conduct and for Shadow Minister Walt Secord MLC to publicly condemn the display as “stupid, malicious and vindictive”. In 2013 Mr Moselmane referred to Australian Jewish and Israeli groups as a “political lobby group that is cancerous, malicious and seeks to deny, misinform and scaremonger” during a speech in parliament. 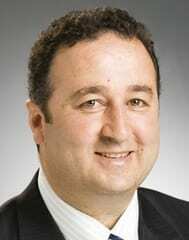 The Jewish media has also never received an invitation to attend Mr Moselmane’s Multicultural Media Awards events. In addition to the above, Mr Moselmane wrote on Twitter in December 2017 that he was “honoured to speak at the rally in support of Jerusalem” – an event at which Hezbollah flags were openly waved by participants. Further, Mr Moselmane recently hosted controversial University of Sydney academic Dr Tim Anderson at Parliament House, who has drawn criticism for defending badges carrying the slogan “death to Israel… a curse on the Jews”. Given Mr Moselmane’s ongoing pattern of offensive conduct, the NSW Jewish Board of Deputies calls on the leadership of the party to formally censure him – i.e. to make it clear that racist conduct of any form will not be tolerated by the party leadership and that he will be denied all leadership positions within the party should it recur. Despite expressions of regret by party leaders, the abuse which he directs at the Jewish community continues, and we find it profoundly concerning that he is free to persist with such vilification. NSW Labor frontbencher and Parliamentary Friends of Israel deputy chair Walt Secord: told J-Wire “My views condemning the utterances of Shaoquett Moselmane are on the public record and well known. Goys like me stand with Israel and despise Anti-Semites. Moselmane should be sacked, not just formally censured. How is it that nobody other than Jews cares about this? There’s no place for anybody like this man in Australian politics. At long last, the NSWJBD has started to search for a backbone. Moselmaniac should have been called out years ago by the Jewish community which should have demanded that the Labour party rid itself of him and the various racists whose votes they seek to gain power. It’s important to respond to these Anti-Semites; immediately!